27 comfortable rooms are waiting for you! Finding a hotel in Krasnodar is easy. Find the best hotels in Krasnodar and make the right choice – a difficult task. Agree, not just to find a hotel that will suit you at the same time to taste, price and convenience! Hotel and Wellness complex “Pelican” is a new and modern hotel for those who appreciate the high level of service and own comfort. It is enough for you to book a room in Krasnodar, and our staff will take care of the rest — transfer, meals, leisure activities and even visas! Here you can relax, spend a long trip or just stay for the weekend with the whole family, heading to the black sea resorts. Do you want to book a room in Krasnodar for a business trip? Our hotel is located near the largest exhibition complex “KrasnodarEXPO” (2.2 km ), where all the most important events of the leading enterprises of the region are held! And for entertainment and shopping quite nearby sports arena “Basket-Hall” and a huge Megacenter “Krasnaya Ploschad” (“Red Square”) with a dozen halls of a network of cinemas “Kinomonitor”! To get to the center is also not difficult-15 minutes – and you are on the Krasnay-street -the Central street of Krasnodar! Do you plan to spend all your time in the city? We will find and arrange a tour for you at any of the sites of the Krasnodar territory! Yes, there are many hotels in Krasnodar. But, staying in “Pelican” , you will be satisfied with your right choice! Everything you need to travel alone and large families, and each room has Underfloor heating, climate control, anatomic mattress with satin linen and individual toiletries. Our clients are provided with a good sleep – fresh linen, cozy atmosphere and quiet. Closed area with CCTV cameras and electronic locks on the doors for your safety. Any problem: tickets for a concert or a tour of the region – you set a task, we find a solution! Ample Parking is free for our guests, and the 24-hour security of your car ensures peace of mind for your holiday! Our meeting room in Krasnodar is perfect for hosting small business events. The hall can accommodate up to 30 people. If necessary, for the participants, we organize coffee breaks or a full lunch. We work 24 hours a day and always smile! Staying at the hotel “Pelican”, you can use the services of the Krasnodar clinic of modern surgery and aesthetic medicine” Zdrava ” at a discount of 10%! 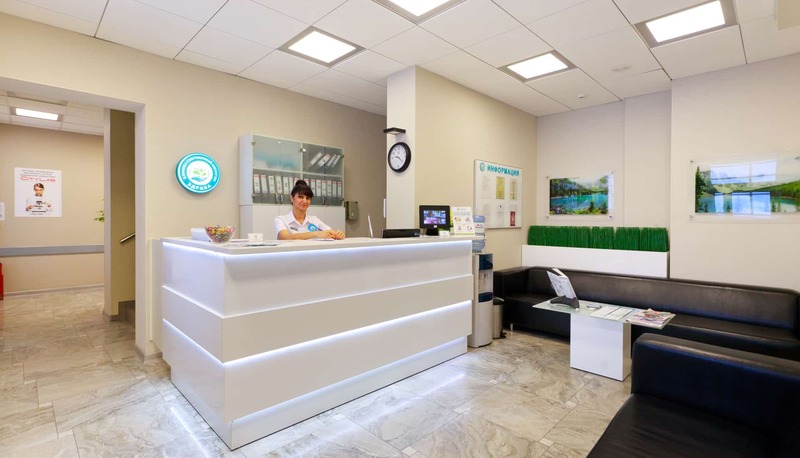 «Zdrava» —this is a unique full-cycle clinic with experienced doctors and the world’s leading technologies of conservative and surgical treatment. You know your problem? A second opinion can be not superfluous, and also decisive! 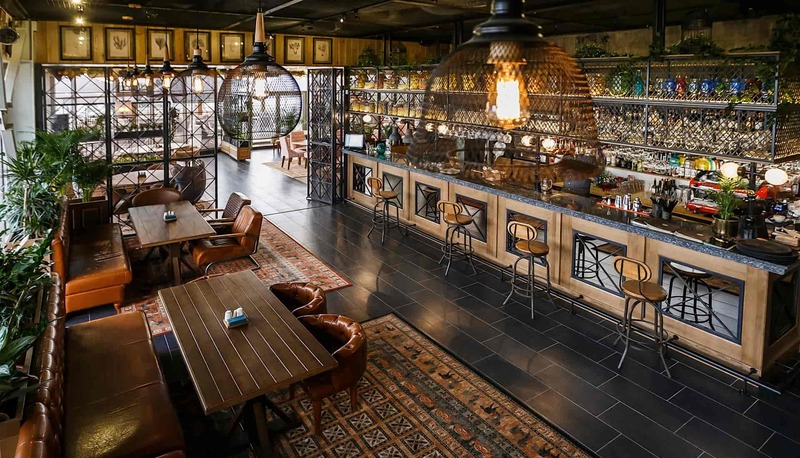 “Macaroni” is a trendy Krasnodar restaurant, where you can not only eat, but also get to the key parties of the city. Its panoramic windows on the top floor of the Pelican complex are visible from afar, and stylishly decorated rooms choose the most picky brides for weddings. Unique and varied cuisine, modern spacious interior and, of course, high quality service in just one year made it a cult place for The Kuban elite and experienced travelers from all over the country! It hosts business Lunches and noisy friendly parties in the bar, on the summer terrace invite to the first romantic date, and in the Flower Hall hold Sunday dinners with the whole family. What will you find in “Macaroni”? From 7: 30 we serve the first Breakfast-English, French, American, Russian-for guests of the city and the first ” larks”. In the afternoon you will be able to enjoy the crown dish of the restaurant-a great pasta, the secret of which is not blind adherence to recipes, but the combination of fashion trends of the world culinary art and our chef’s own development. Bring your enemy to dinner, let him die of envy that he had not been here before! In addition to the Italian menu, there are also Asian dishes, and the position of English and modern American cuisine, as well as original dishes from the chef – a dish to taste there is everyone. Well, late in the evening when in the bar sounds rhythmic music, we are always ready to regale you with refreshing alcoholic drinks, cold beer and innocent smoothies, summer cocktails, fitness mixes and twists – if you are resting, so take a taste of southern summers! Meet the dawn in “Macaroni” and enjoy the sunsets, eat at our table and love each other. And gastronomic pleasure and a good mood we will provide you with! 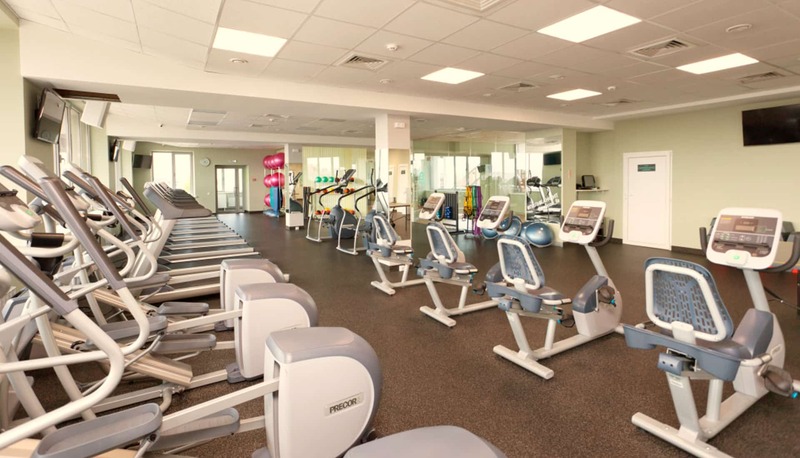 The famous fitness club of Krasnodar “Pelican” is part of the infrastructure of the hotel and recreation complex, and therefore use its services can both hotel guests and enthusiastic sporting lifestyle residents. Know your goals, do not stop halfway and be ready for changes — the key commandments for those who have entrusted their health and body to professional athletes, coaches of the club! Fitness for beginners, group programs, brand new cardio and a huge (330 sq m!) gym-in Krasnodar, this is no surprise. But such an affable and friendly team, well-organized training system and a cheerful sporting mood, which always reigns in the club, only we can boast! Fitness space “Pelican” is open to all-men and women, beginners and masters of sports, “singles” and fans of team games in outdoor sports grounds! And, of course, a fitness bar with a wide range of nutritious cocktails and refreshing drinks to recuperate.